Valencia will host Getafe on Tuesday at 20:30 in the Mestalla in the second leg of the Copa del Rey quarter-finals. 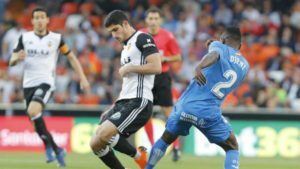 In the first leg match, Getafe took the best, winning by a ball to zero, which makes it enter the field with a slight advantage, which can be a decisive factor in the resolution of the tie. 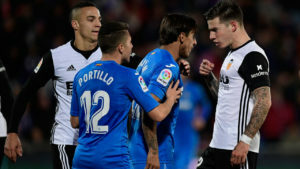 This weekend, both teams played for the league, with Getafe lost at Atletico Madrid by two balls to zero, still remaining in their sixth place with 31 points, while Valencia received and beat Villarreal 3-0 to seventh place in the standings. Valencia have won seven of the last ten games at their stadium and are slowly returning to good form over the past season but face a Getafe who is one of the hardest teams to beat in Spain. Can Valencia win and move on or will the formation of the outskirts of Madrid follow to the semi-finals of the competition? In three of Valencia’s last five games at his home stadium there were over 2.5 goals. Getafe scored in four of the last five away games. Valencia have scored 11 goals in the last five games in the visiting condition. In four of the last five clashes between the two at Mestalla there were more than 2.5 goals. Valencia won the derby with Villarreal and is entering this week with a good moral. On the weekend, the bats go to Camp Nou and coach Marcelino said he would give priority to the championship. This is in contradiction with the supporters’ wish that they chanted at the end of the match with Villarreal that they will cup. Still, we believe the Valencia coach, who said there will be some changes in the first 11 against the championship match. In the gate will be Domenech, and in defense will play, Vezo, Paulista, Diakhaby and Lato. Parejo has no substitute in the middle and will pair with Wass. In attack, Rodrigo and Mina have no substitutes and will have to perform in the cup. Getafe has clearly lost to Atletico Madrid at the end of a game in which he has not created too many opportunities for a goal. A cold shower that came in time before this return and that can fit the boys prepared by Bordalas. Getafe’s coach has no batch problems and will align almost the same 11 in the match with Atletico. The difference might come in attack, where Jaime Mata could replace Angel. Djene and Cabrera are suspended for the championship, so they will be titles. Getafe has only two defeats in the Championship, Real Madrid and Atletico, and has the second best defense in Spain. ◘ Valencia is a better team in terms of value, but also with higher achievements in recent seasons. In the current season, the “bats” are in the seventh place in the ranking, close to European seats, and are also trained in the Europa League, where they have reached the sixteenth stage and will face the Celtic. Until now, Marcelino’s team has crossed Ebro and Sporting Gijon in the first two rounds of the Spanish Cup, with the latter losing on the tour, winning a definite victory in the second hand. Valencia has done fantastic on its own lately in the previous nine games played on Mestalla with seven wins and two draws. ◘ Getafe is a weaker team in terms of value, but it has good progress in this season, with the domestic championship taking the sixth place, being two points over their opponents, hoping to return to European competitions. Also, the “blue” also impresses in the Spanish Cup, going first to Cordoba in sixteen, winning 7-2 in general, then defeating Real Valladolid 2-1 in the double hand. In the last match, the team coached by Jose Bordalas missed the move from Atletico Madrid, being defeated by 2-0, concluding a series of five failed matches, in which he managed four victories. Valencia are forced to win at least 1-0 to take the tie into extra time. He will certainly go strong and determined to reach the goal as soon as possible, but this desire could open spaces for Getafe to exploit the counterattack through fast and vertical transitions. We believe in a game with more than 2.5 goals.